Yup. That’s it. That’s the new Prius. It has.. a design, and a combined power output with the 1.8L four cylinder and hybrid setup of 150 hp, about a 15 hp bump over the outgoing model. Yes, a car. These fresh pics are coming from CarNewsChina, but look - we’ve already caught up with most of the upcoming Prius, and it should remain more gasoline-biased than Chevy’s new Volt, and roll with a CVT transmission and feature four driving modes: Normal, Power, Eco and EV. CarNewsChina is claiming an estimated 60mpg for America’s favorite hybrid, which is impressive enough to see this generation be just as successful as previous versions. Aaand that’s about it. The car looks like the questionable Mirai fuel cell vehicle, except ever so slightly more.. uh.. bearable. The rest of the new Prius will be on display in Frankfurt in a few weeks. 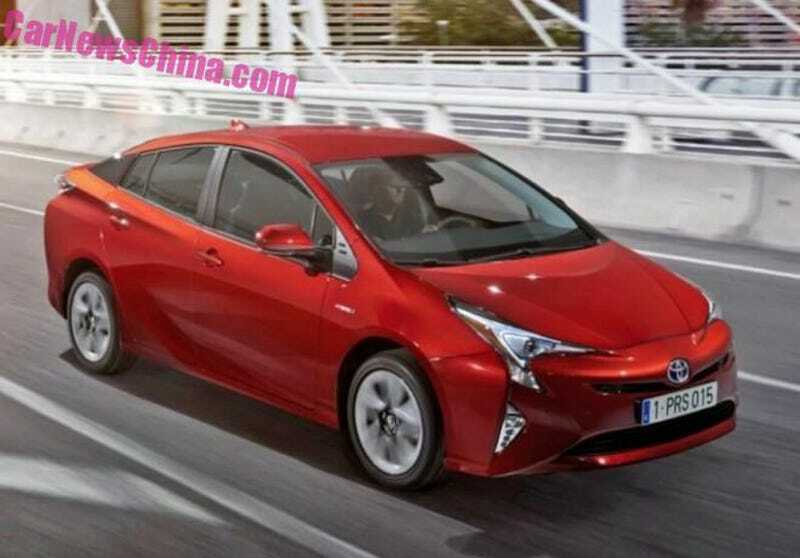 Update: According to Toyota, The new Prius is a 2016 model, not a 2017.